All rooms have full cutlery, crockery, microwave and toaster. 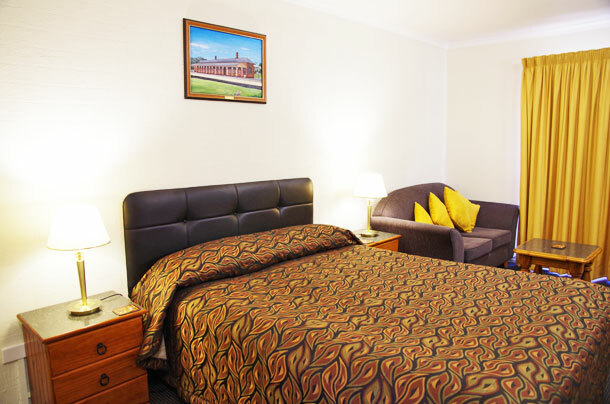 Stannum Lodge Motor Inn offers exceptionally clean accommodation just a short walk or drive from the center of Stanthorpe. We have 12 self contained suites with microwave and full crockery and cutlery as well as a small selection of bowls and dishes for snacks like cheese and crackers. All suites at Stannum Lodge are ground floor with undercover parking directly outside your suite set in landscaped gardens in a quiet environment. All suites have reverse cycle split system air conditioning as well as electric blankets and doonas for the winter months. Free WIFI is available. All rooms are non smoking. Free Foxtel is also available. 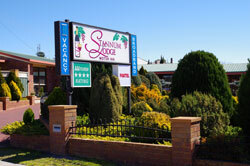 Stannum Lodge is Stanthorpe’s only AAA rated 4 star motel. Continental breakfast is available and will be delivered to your room the evening prior. There is seating in the pool area as well as in the garden area and also the Gazebo with seating for 8 people to enjoy a local wine and snacks such as local cheeses in the evening during the warm summer months. 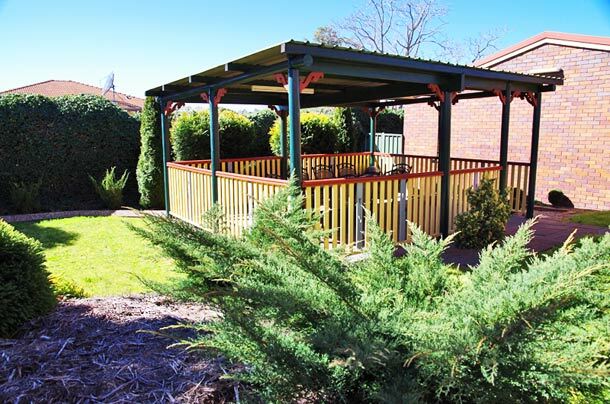 Stanthorpe is located south west of Brisbane and is nestled in the heart of the Granite Belt. Known as Queensland's premier wine region, it boasts more than 45 wineries, vineyards and cellar doors. Stanthorpe has the reputation as being Queensland's coolest town, with some locations in the area reaching 1000 metres above sea level. Frosty mornings and the odd snowfall during winter are not uncommon. The high altitude and unique soil provide excellent growing conditions for not only grapes, but for stonefruit such as peaches, apricots and nectarines along with a variety of apples and berries. The Biennial Apple and Grape Harvest Festival, held each even numbered year in February/March, celebrates the harvest of the district. Stanthorpe is surrounded by unspoilt National Parks. Just south of Stanthorpe, Girraween National Park is quite popular. With its spectacular granite rock formations, and wildflower displays during Spring, it is a favourite park for bushwalkers. Adjacent to Girraween, is Bald Rock, Sundown and Boonoo Boonoo National Parks. Bald Rock National Park has the largest granite rock formation in the southern hemisphere, providing excellent views over the surrounding terrain.